Physical aspects relating to the older shooter: vision, hearing, grip, stance, endurance and strength among others. 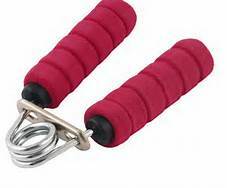 In this post we’ll try to get a good GRIP (I am an incurable punster!) 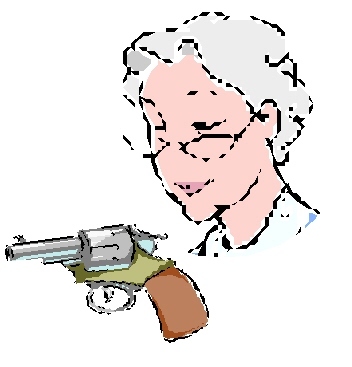 on some hand strength and dexterity issues that the new mature woman shooter may face when handling a firearm. I have very small hands. My husband wears EXTRA Large Men’s gloves, and I shop in the kids section at the feed store when I need leather work gloves! While some women are blessed – when it comes to shooting in particular – with nice sized hands, a lot of us are working with a distinctly smaller set of digits and grip. Just wrapping my hand around some of the wood grips on some of Gary’s larger pistols is a challenge! Particularly when it comes to larger revolvers. He’s outfitted them with grips that make it easier for his big mitts! The new Gen 4 GLOCKs come with extra back straps to increase the grip size – which to me is a crazy idea. There are constant reminders when handling firearms that men designed guns primarily for men. And men’s hands are normally larger than a woman’s. Second DUH ! for this post. So…. if you start with not being able to wrap your hand comfortably around the firearm, the issue of having appropriate hand strength is magnified. I like to think of my husband trying to grip and apply pressure if the grips on his gun were proportionately larger! That may be one of the most important considerations in finding a gun that fits you well. 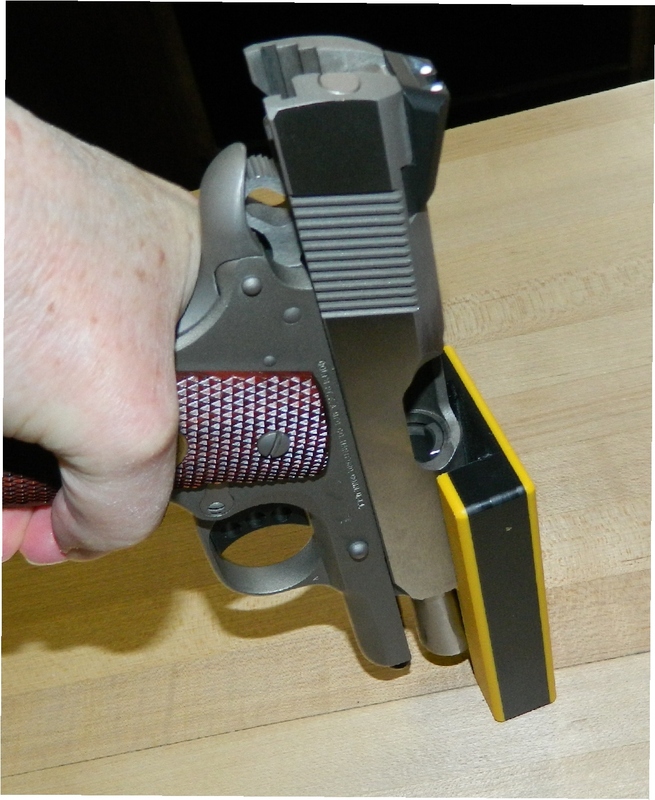 You can change out grips on most handguns to fit you better. You should be able to comfortably wrap your fingers on the grip, and ideally to be able to reach the mechanical safety, external hammer, magazine ejector with one hand. On semi-automatics, particularly on some of the shorter barrels that are popular to carry, racking the slide can also require a lot of grip and hand strength. These shorties generally use stronger springs to assist in cycling the slide/barrel that must travel a shorter distance than their longer barreled cousins. There are some techniques that can be utilized to help those with weaker grips/smaller hands to accomplish racking the slide, and that’s the topic of another post. The strength of your grip on the gun is crucial when it comes to managing and controlling your aim while shooting. A weak grip will magnify the impact of recoil and the muzzle of the gun will jump more erratically. This makes “follow through” – which is part of maintaining a good grip following a shot and a big factor in your next shot, extremely challenging. Your hand will also tire more quickly – which cuts down on the amount of practice you want to endure, because it can also hurt! 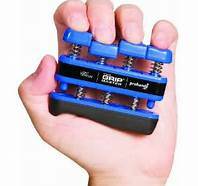 It is very possible that without an adequate grip you may also exacerbate problems you already experience with your hands, wrist and forearm. While firing some “blow back” design lower caliber semi-automatics, I have experienced misfeeding of ammunition from the magazine in a 22lr gun due to an insufficient grip. I visualize this as the energy in the recoil is used by the gun to reload from the magazine, and that weak grip has redirected a good deal of that energy while the gun is flying around uncontrolled by the firmer grip! Not sure of the mechanical accuracy of my visualization, but I do know it’s very frustrating having the gun jam up. “Flinching” and “anticipation” of recoil – which after you fire the first shot and realize it has quite a “bite”, often causes you to pull your shots to the left or right with subsequent shots, depending on how you react- by pushing or pulling to compensate/prevent for the expected hammering to come. 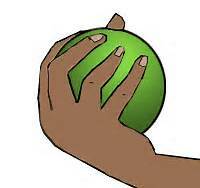 Overcompensating for a weak grip by tightening your grip as you pull the trigger also can play havoc with your aim. The amount of strength and dexterity needed to pull the trigger – both the pounds of pressure required and the distance the trigger must travel is another strength and dexterity issue for the small handed woman. This is a particular issue with the “hammerless” revolver models that are “double action only” and have a hard trigger pull. Accuracy of your shot is dependent on a good trigger pull. As in most of life, where there is a will, there is a way to improve hand strength. 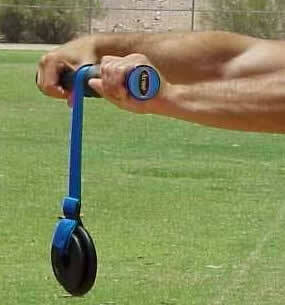 There are many exercises and aids on the market to improve hand strength and coordination. Just “Bing”, “Google” “Ask” hand strengthening and you’ll get a ton of ideas. My son gave me a wonderful little squeeze ball that I keep next to my keyboard and work it while I am waiting for uploads and downloads! – and it doubles as a paperweight while not in my hand! Arthritis, carpal tunnel, osteoporosis, are just a few challenges commonly encountered as we age. Other things that affect the ability to grip a pistol include numbness and loss of sensitivity in the fingers. Diabetes and circulatory problems can cause numbness in the extremities. It can be very difficult to grip properly with numbed or swollen hands. As older women, we’ve had a lot more years to accumulate injuries- particularly repetitive stress- and if we escaped immediate and strong opposition from our bodies for these insults to it, the “piper” comes to collect as we have aged. Carpal tunnel can be eased using a wrist and hand brace. Arthritis that is the result of injury to the joints is more unforgiving, but by steadily working with the mobility and flexibility that you have you can successfully overcome many of the barriers facing you. 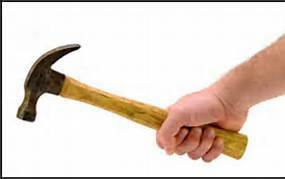 About 40 years ago while at work at a newspaper, a freak accident resulted in an exacto knife plunging neatly through my right index finger. The nerve damage causes me to have a total loss of sensation in over half the finger, and a heightened sensation in the parts of it. My luck – it’s my dominant shooting hand, and the dead half is crucial to feeling the trigger! I actually began to shoot left handed until I felt more confident with a gun, and have now more or less successfully returned to my stronger hand, and can shoot better with it now. Medical science is doing wonders with restorative therapies that help to keep us active, but the primary factor is still the desire and need of the person involved. I have seen women with significant arthritis and joint problems go through my husband’s classes, and because they felt a need to succeed in learning to shoot for self defense, they made it work. Both with modification of technique and correct fitting of the gun. One of the guns I have used is a Beretta Bobcat, chambered in a 22lr. 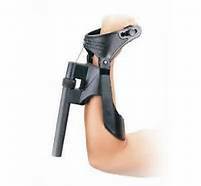 It is popular among a lot of people with arthritis because it has a popup feature that allows the shooter to manually load the first cartridge through an opening in the top of the slide, rather than having to rack the gun to load that first bullet. While there is obviously a point that disability should be recognized as being greater than the desire to participate in an activity like shooting, we – the aging baby boomer generation – do not accept it as an immutable rule of life. When there is a practical, safe way to accomplish that goal, we will work with that!